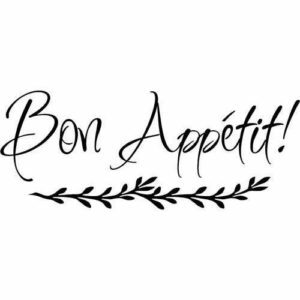 Have you ever wished somebody ‘bon appétit’? Have you ever bad mouthed anyone? Have you ever felt a pang of schadenfreude at another’s misfortune? Have you ever had a drink in a beer garden? You may not answer ‘yes’ to all these questions (although I bet you do! ), but at least you understand them. If so, it means that you’re already familiar with the use of loanwords and calques. Indeed, you may not have heard of the term ‘calque’ or ‘loanword’ before, but you undoubtedly use these linguistic devices, probably on a daily basis. Put simply, a calque (otherwise known as a loan translation) is a word or phrase taken from one language and translated literally, word-for-word, into another language, whereas a loanword is a foreign word or expression maintained in its original form in the target language. Here we will look at some typical examples of calques and loanwords and will explore the advantages or problems associated with using them in translation. First of all, let’s clarify what type of word or expression qualifies as a calque and as a loanword. The key aspect to consider here is whether or not the expression has been translated into the target language, or if it appears in its original ‘foreign’ form in the target language. English makes use of many French words in everyday conversation, such as ‘déjà vu’, ‘façade’, ‘hors d’oeuvre’, etc. (there are many, many more). If the meanings of these words are widely known then they are generally not italicized. However, if a more obscure loanword is used that is likely to be unfamiliar to the reader (such as the German ‘zeitgeist’, meaning ‘spirit of the age’), it is usually presented in italics. Now let’s think about the following expressions: ‘Adam’s apple’ and ‘blue blood’. Both of these terms have been translated literally from the language in which they first appeared, respectively French (‘pomme d’Adam’) and Spanish (‘sangre azul’). This literal translation and subsequent use in English renders them calques, or loan translations. The ever-increasing importance of the English language combined with the dominance of Silicon Valley in the field of technological research and development (not to mention the relentless growth of the ‘Big Four’ tech companies) has resulted in English becoming the de facto language of technology. Indeed, use the words ‘podcasts’, ‘software’ or ‘wifi‘ to people in countries the world over and the chances are that they’ll understand what you mean whether they have a high, intermediate or beginner level of English, or even if they can’t speak it at all. Similarly, everyone knows how to take a ‘selfie’; you’d probably use your ‘smartphone’. All of these words are examples of loanwords: they started off life in English but have been appropriated by other languages. Whether or not you consider this to be good thing is a matter of opinion. You may think that, given the unrelenting speed of technological change it is probably a good thing that we don’t need to find new translations each time a new concept emerges. Or maybe this is another example of the linguistic hegemony of the English language over smaller languages, whose importance is eroded further still. If you subscribe to the latter then you’d probably favour the use of calques. Using loan translations can add to the richness of your language without peppering your translation with foreign words. Be careful though: while linguists may not have any issues when it comes to understanding a word-for-word translation of a foreign term, it may not be so simple for the layman. This is especially the case when they refer to specific fields of expertise such as legal or pharmaceutical. Poor use of calques may sound very unnatural and could betray a lack of target-language knowledge on the part of the translator, whether justified or not. As ever, identifying your target audience is key. So for those of you that are trying to find elegant solutions to difficult source language terminology, I have a simple message for you: bon courage!